I have had terrible bronchitis for over 40 years, and yes, unfortunately, I’m a smoker. For years I have wanted both of them to exit from my life, but nothing I have tried seems to end in success. I know that my smoking contributes to the bronchitis and I have tried everything my doctor has suggested with no success. On top of all of this I have a very low immune system and am a sever allergist. I am allergic to nearly everything made to fight an infection which means all the doctor can do for my bronchitis is help with the symptoms. The coughing is not only tiring, but I usually end up with a bruised diaphragm and have dislodged some ribs I have coughed so hard for so long. It usually takes me a good 3 months to completely get over a bout of bronchitis. In the years past I have used natural herbs to help get me through my bronchitis and they work. But, the downside to them is they make me so nervous I’m like a cat on a hot tin roof. No one wants to be around me I’m so nervous and edgy. This time I came down with bronchitis on Christmas Eve and spent all of Christmas in bed coughing my head off. I don’t have time for this in my life right now and after a month of not seeing much relief I decided to do some research into natural resources for supporting a healthy lung function. After several hours of research, I texted my daughter-in-law. I know she is someone who does a lot of research on different things and is a big believer in home remedies. She immediately put me in touch with a friend of hers that is into Essential Oils (EOs). Her friend and I talked for several hours discussing how EOs might help and what I might try. I ordered a Young Living Starter Kit with some of the EOs and a diffuser. When it came in I started using the Thieves and Purification EOs in my diffuser and then mixed a 1:1 ratio of RC EOs and Olive Oil (carrier oil) drops and would rub that on my chest and neck. The first night I saw a major difference in my breathing and coughing. Unfortunately, I had to spend that next day out in the high, cool winds and my bronchitis came back in the worst sort of way. For the next two nights I kept up the diffusing and rubbing the RC EO and Olive oil on my neck and chest. I even brewed me some Vanilla Chi tea and added some Thieves, Lemon and Peppermint EOs to it. Wow, how that hot tea with the EOs in it going down my throat felt so good. 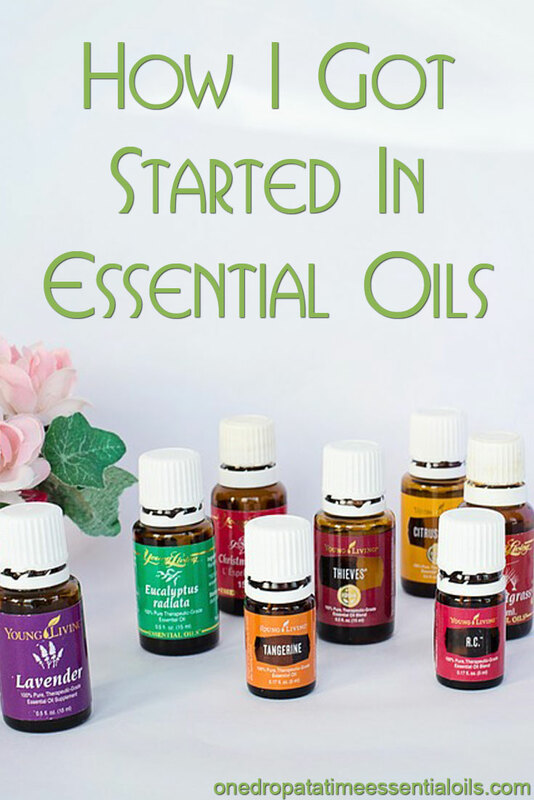 Many Essential Oils are immune enhancing , support the body’s natural defenses, and support the immune, circulatory, respiratory, endocrine, digestive, nervous, and other body systems. Some of them are mood elevating, and can boost stamina and energy. Some EOs help relax me and manage stress and frustration. Some are aromatic, some are oxygenating, and some can be taken internally. I will be delving into more uses for my new found essential oils. I have so long been searching for a way to cleanse my body of its toxins and feel I’m on the right path. God tells us in the Bible in 1 Corinthians 3:16-17 “Do you not know that you are God’s temple and that God’s Spirit dwells in you? If anyone destroys God’s temple, God will destroy him. For God’s temple is holy, and you are that temple”. I’ve always known this and it has always bothered me that I was not taking good care of my body (God’s temple). I’ve been praying for some time for a revelation into how I can do this and I firmly believe these EOs are my starting point.